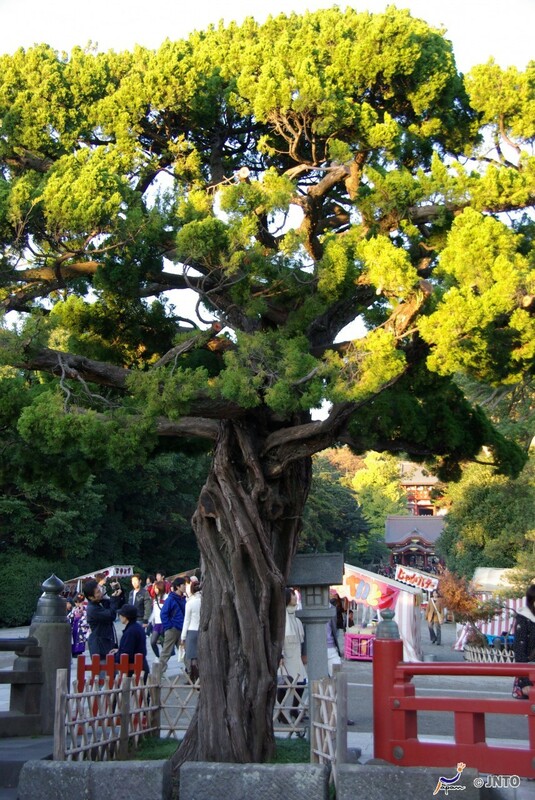 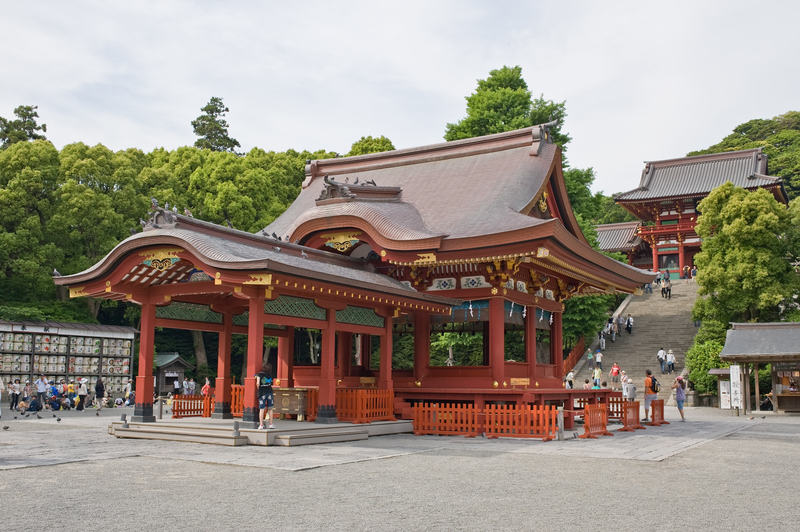 “Tsurugaoka Hachimangū is the most important Shinto shrine in the city of Kamakura, Kanagawa Prefecture. 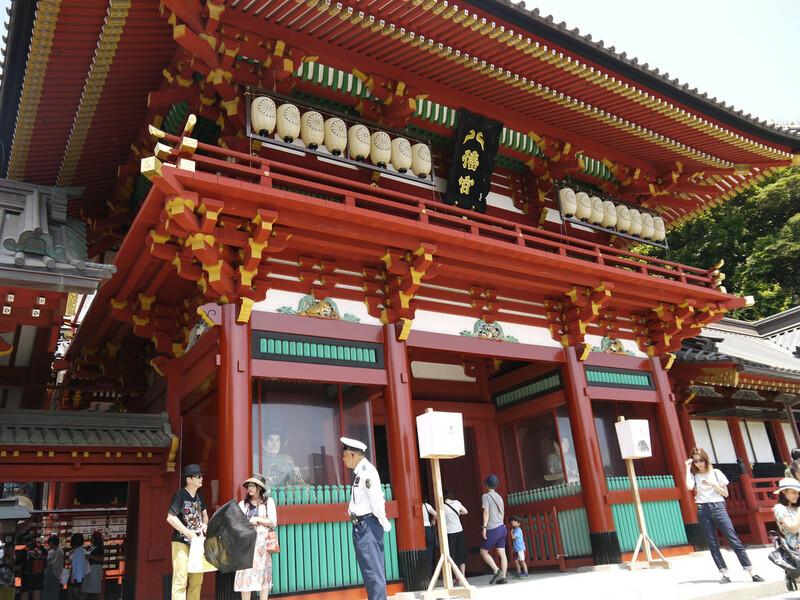 A venue for many important festivals, the shrine is at the geographical and cultural center of the city of Kamakura, and hosts two museums. 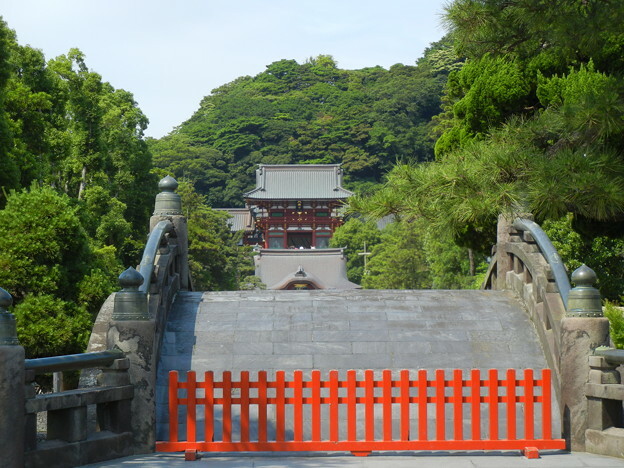 Tsurugaoka Hachimangū was for most of its history not only a Hachiman shrine, but also a Tendai Buddhist temple, a fact which explains its general layout, typical of Japanese Buddhist architecture.